The Houston Astros' feel-good return to Dodger Stadium will take a slightly different turn Sunday when reliever Roberto Osuna is activated. Osuna, acquired from the Toronto Blue Jays before the non-waiver trade deadline, is coming off a 75-game suspension for violating baseball's policy against domestic violence. Osuna was arrested in May while in Toronto, accused of assaulting his girlfriend. He is expected to address his teammates Sunday morning before speaking to the media. [post_ads]What his presence does to the Astros' tight-knit clubhouse remains to be seen, but they are curious to hear what their new teammate has to say before they take on the Dodgers in the final World Series rematch game of the weekend. "I don't know all the details and I don't know if he is at liberty to say in an ongoing case, but it's just one of those situations where I'm going to sit back and listen," Astros pitcher Justin Verlander said. When the Astros take the field, they will have right-hander Gerrit Cole (10-3, 2.55 ERA) on the mound. The UCLA product took a rare loss last Sunday against the Texas Rangers when he gave up four runs (three earned) and six hits in 5 1/3 innings. Cole is 3-1 lifetime against the Dodgers in six starts, all with the Pittsburgh Pirates. He has a 5.55 ERA against Los Angeles in 35 2/3 innings. The Dodgers will have a far less complicated day before taking the field while trying to salvage a game in the series. After scoring 21 runs Thursday against the Milwaukee Brewers, the most ever for the club in a game at Dodger Stadium, they have one run on seven hits in the past two games against the Astros. The Dodgers have not scored a run in 17 innings. 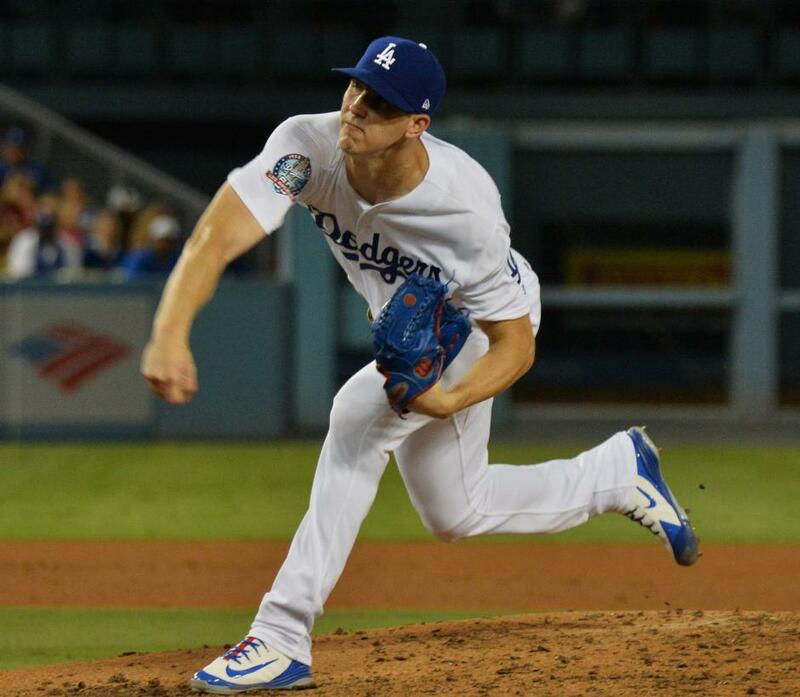 If Cole can execute the same game plan that Verlander and Lance McCullers did before him, then it will fall on Dodgers rookie starter Walker Buehler to keep things tight into the late innings. Buehler (4-4, 3.65 ERA) pitched well Tuesday against the Milwaukee Brewers, giving up one run in seven innings. But the Dodgers lost a 1-0 decision and the right-hander was not taking any satisfaction from holding his opponents in check. "A loss is a loss, man," Buehler said. "I made a bad pitch to Cain and that guy is an All-Star and a World Series champion and he took advantage of it. That's what you do to stay in the big leagues. Without that pitch, it's a different game. I can't let it happen." Buehler said a mechanical change with his hands during his delivery helped him to an outing that was much improved on the five runs he gave up to the Philadelphia Phillies over 4 2/3 innings on July 25. Sunday will be Bueher's fourth start since returning from a microfracture in the back of his ribs on the right side that occurred when he was hit by a line drive.